BEIJING, Dec. 11, 2018 /PRNewswire/ — China Film Digital Giant Screen (Beijing) Co., Ltd. (CGS), a world-leading Premium Large Format (PLF) solution provider, today announced that it has won the first “CineAsia PLF Technology Award” granted by the American Film Expo Group, the organizer of 2018 CineAsia. On December 10 in Hong Kong, CGS General Manager Mr. Jimmy Chen accepted the honor from Mr. Andrew Sunshine, President of Film Expo Group. 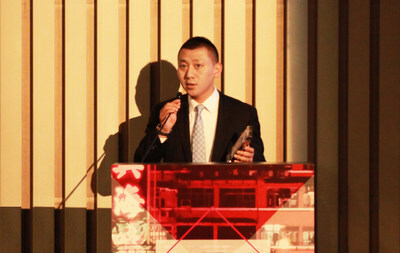 CineAsia Premium Large Format (PLF) Technology award is designed to recognize the outstanding contributions of the players to the film industry in the past year, and this highlights the technological strength and influence of Chinese films on the international stage. CGS was officially setup in 2011 and has completed five generations and two major technological breakthroughs within seven years. 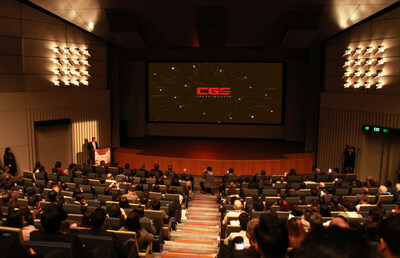 From the commercial operation of the first CGS cinema in 2012 to the completion of more than 330 setups today, CGS has proved itself as one of the most dynamic and fastest growing PLF brands in the Asia Pacific region as well as the global film industry, as the result of its world-leading technologies, including mega-sized screens, dual-engine projection, immersive object-based sound system, customized auditorium design and advanced remastering processes etc. The latest CGS laser system emerges as the highest ROI solution by providing easy to use, easy to service, high brightness and high contrast imagery with lower total cost of ownership (TCO). CGS worldwide installation has a coverage of 145 cities as of November 2018, including in Hong Kong, United States and Southeast Asia. CGS has also become the preferred choice by cinemas for its strong brand value. Since 2014, CGS cinemas have served over 55 million moviegoers, proving its power in attracting audiences. Thanks to the high recognition by major Hollywood studios as well as the Chinese ones, CGS has created over 540 masters, including 266 Chinese titles and 274 titles of other languages, many of which were top box-office performers of the year. 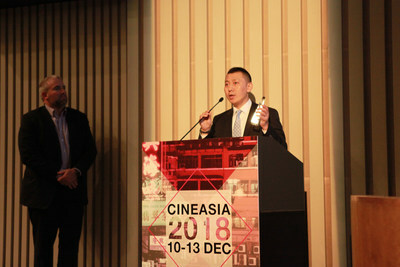 At “A Focus on China” presented on the first day of the 2018 CineAsia, CGS General Manager Jimmy Chen, representing the Chinese advanced cinema technology, explained the proprietary and technological DNA of CGS and how they unlock the international market. CGS is one of the leading international PLF (Premium Large Format) brands, committed to providing outstanding immersive viewing experience solutions. As of the first half of 2018, CGS had 320 + cinemas in 145 cities nationwide, on top of its existing deployments in Hong Kong, United States and Southeast Asia. The company’s proprietary CGS system offers audiences immersive movie experiences through it’s mega-sized screen, immersive multi-dimensional sound system and customized auditorium design. Its proprietary remastering technologies further ensure breathtaking sound and image quality for content distributed to CGS screens. The development and growing strength of CGS will not only help to promote the quality of Chinese film presentations, but also powers the development of China’s film industry.